After a top Lashkar-e-Taiba (LeT) commander operating in Kashmir, was killed in an encounter with the security forces in Pulwama, Central Reserve Police Force Director General Rajiv Rai Bhatnagar on Tuesday hailed the success saying it was a "well coordinated" operation by the Jammu and Kashmir police, the CRPF and the Army. "As you all know there was a very successful operation took place. Two terrorist were neutralized and their bodies have been recovered and identified. It is a very big success on the part of the security forces. 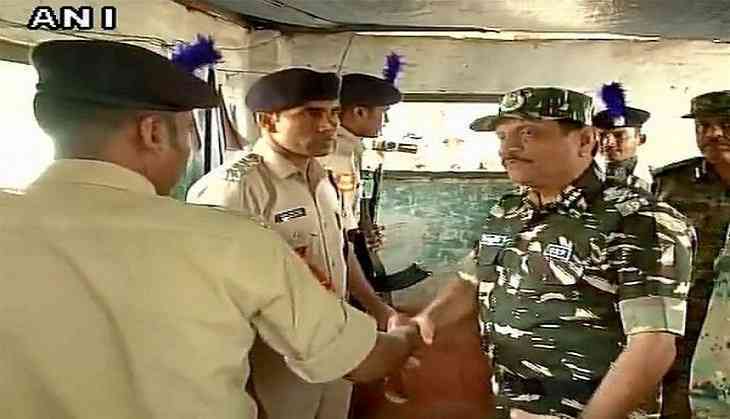 It was a well coordinated operation by the J-K police and the CRPF and the Army," DG Bhatnagar told ANI. He further added that one AK-47, one pistol and huge cache of ammunition were recovered from their possession. "They were active since 2010 and have done many attacks on the security agencies. They also attacked a convoy in June 2016 where 8 of our jawans were killed," he added. Meanwhile, schools and colleges in Kashmir valley have been shutdown and internet services have also been blocked following the killing of Lashkar-e-Taiba (LeT) chief commander Abu Dujana. These steps have been taken as precautionary measures to contain the possible law and order situation. LeT chief commander Abu Dujana of Pakistan along with his accomplice were killed in an encounter with security forces at Hakripora village in Jammu and Kashmir's Pulwama district on Tuesday morning. Earlier, J Sandhu, General officer Commanding (GoC) 15 corps Lt. Gen J.S. Sandhu said Abu Dujana was a category A++ LeT terrorist. "He was not really involved in many attacks, he was just having fun. Basically, he was just a nuisance," he added. IG, Kashmir, Munir Khan, said the quantum of fire from the terrorists' side was very heavy. "Quantum of fire from terrorists' side was very heavy. Terrorists Abu Dujana and Arif were killed. There has been one civilian casualty," he said. The security personnel who killed Dujana came under heavy stone pelting from locals after various news channels reported that Dujana had been eliminated in the encounter. The Indian Army in July released a list of 12 most-wanted terrorists operating in the Kashmir Valley and Dujana was among them.